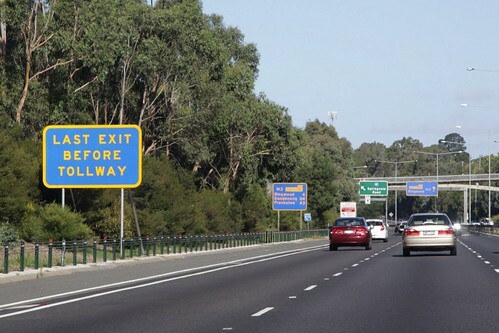 If you live in Victoria and own a car, something well worth having is a toll road account. Many motorists who use Melbourne’s CityLink and EastLink tollways on an irregular basis buy the exorbitantly prices one-time trip passes, deciding not to setup an account because they think it isn’t worth it, when in reality there is an option that costs you nothing to setup and maintain. Thousands of people pass through Melbourne’s Flagstaff railway station each day, but I doubt any of them notice the little used walkway tucked way on the upper level. 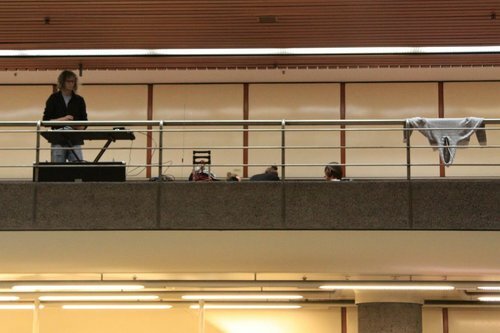 So imagine my surprise last week when on my way home from work I discovered a keyboardist setup on the walkway, along with a few other musicians. If you work in the Melbourne CBD, then the following should be a familiar sight: smokers walking the streets while clutching burning cigarettes, in a vain attempt to get in a few more puffs before they reach the office. Passive smoking might be a well known health concern, but in the busy city there is another hazard to non-smokers: a burnt leg. In the process of researching my blog posts, I’ve spent a lot of time trawling through Google News’ digitised copies of Melbourne’s The Age newspaper for titbits related to Australian industry or aviation. 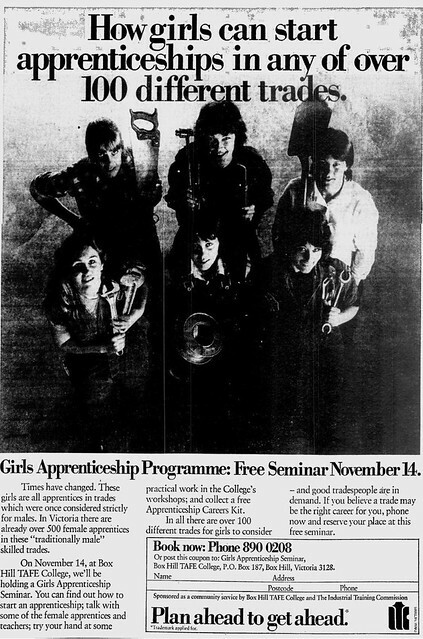 However my most recent find was something rather different – a pair of related advertisements that illustrated the world that girls faced on graduating high school in the early 1980s. 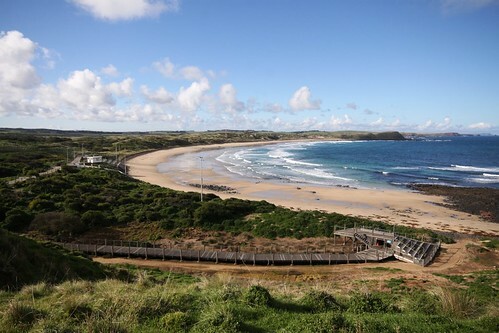 If you have ever paid a visit to Victoria’s Phillip Island, the reason for the trip was probably the nightly Penguin Parade, where wild little penguins emerge from the sea at sunset and waddle across the beach to their sand dune burrows. So how long have tourists been visiting Summerland Beach for? The answer might surprise you.